(TMD) is a great challenge to all health professions. No one can claim a singular treatment method that is predictably effective for the majority of the population. This is because TMD has many different kinds of symptoms. They can be physical, neuromuscular or psychological. Simply put, the skill set of each health care provider is too narrow by itself in treating a pathology that shows such a broad array of symptoms. It would take multiple disciplines of clinicians to do so. Why is the TMJ so important? The temporal mandibular joint is strategically located in the body’s nervous system. From an evolutionary point of view, it brings the back teeth together to efficiently chew food. When misalignment (malocclusion) occurs the nervous system compensates by developing neuromuscular and postural compensations. This causes a cascade of alterations in nervous, muscular, and skeletal systems. Pioneering neurosurgeons Drs. Wilder Penfield and Theodore Rasmussen demonstrated that almost half of both sensory and motor aspects of the brain are devoted to the dental area. When confused stimuli (malocclusion) occurs, the brain sends out faulty information and commands to the surrounding systems. And when the body’s responses do not match the environment, diseases in multiple systems can occur. The jaw and spine are joined by connective tissues and stress or muscle spasm in either of these is reflected in tension transmitted throughout corresponding regions known as trigger points. The Atlanto Occipital joint is the uppermost joint in the neck that makes up the base of the skull. It is made up of the occiput and the atlas. If you place your hand on the back of your neck, and slide it up, those first boney protuberances you feel are the occiput. The first bone in the neck is called the Atlas, really just a ring, so the joint between them is called the Atlanto Occipital joint. It allows the nodding of the head. It is strongly bonded with very powerful stiff ligaments and equally strong but flexible muscles. A study in the 1980s showed the muscle controlled pivotal axis of the mandible occurs at a bony point on top of C1 vertebrae. Mandibular misalignment creates a disturbing posture of C1/C2. It is this misalignment of the first two vertebrae that ultimately triggers a cascade of spinal, head, posture, and neurological issues that are closely related to TMD symptoms. What are some of the TMD symptoms? TMD symptoms are wide ranging and may not seemingly be connected to the jaw and an easy connection for the treating physician to miss. They may include: headaches, jaw noise, limited opening, ear congestion, vertigo, tinnitus, difficult chewing or swallowing, sensitive and loose teeth, jaw clenching, postural problems, hot and cold sensitivity, neuralgia, Bell’s palsy and nervousness. TMD is a disease that slowly robs one’s quality of life. It is stealthy and unpredictable in its presentation. Regardless of its multiple facets of symptomology, its root is the misalignment of the Atlanto-Occipital Joint induced by torqueing of the mandible. A proper understanding of the disease is key to finding the right treatments. If you’re suffering from TMD contact All About Smiles to discuss your symptoms. 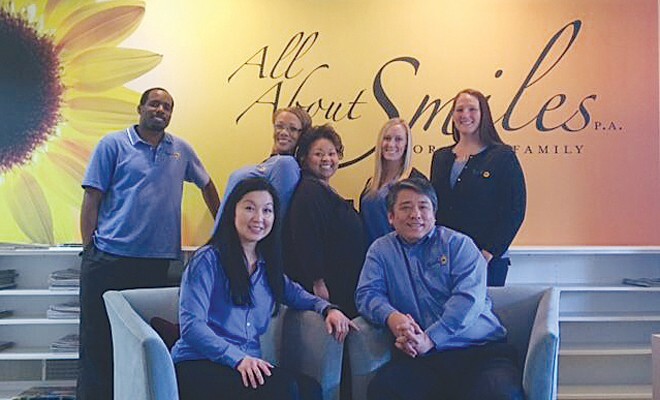 Call (302) 239-1641, or visit our website, www.allaboutsmilesde.com. 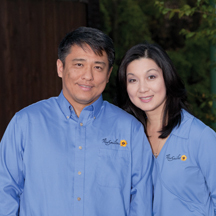 Dr. Lewis Yu earned his dental degree from the University of Pennsylvania School of Dentistry in 1996. He received two years of advanced post-graduate oral surgery training in both the New York City Hospital System and the Hospital of the University of Pennsylvania. He continues his education through extensive hands-on training at the prestigious Las Vegas Institute for Advanced Studies and the Pankey Institute. 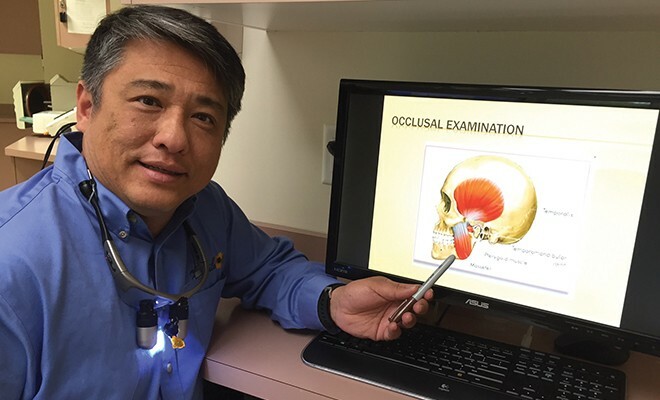 The Las Vegas Institute has provided Dr. Yu with advanced training in Neuromuscular Dentistry and Comprehensive Aesthetic Restorations. He had practiced in Philadelphia and Newark, Del. before joining All About Smiles, P.A. 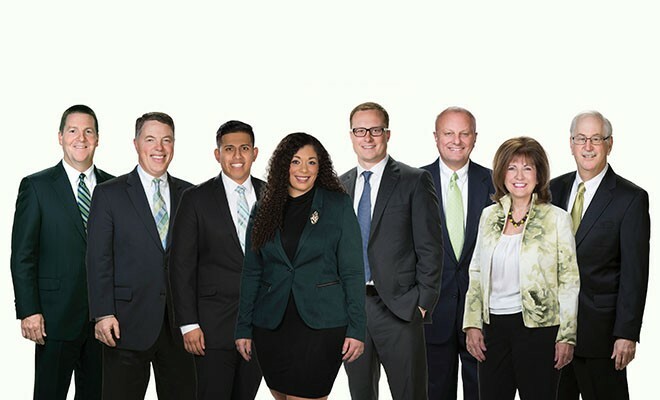 He is a member of the Delaware State Dental Society, American Dental Association, and the Academy of General Dentistry. Next Story → What Do Placental Tissues Have To Do With Stem Cells?